I’ve just returned from the excellent Pixel Pioneers conference in Belfast. I flew from Heathrow to Belfast City, a quick hop over the Irish Sea. On the way out the weather was misty with very low cloud; just moments after we left the ground we were above the clouds, emerging into bright, beautiful sunshine. 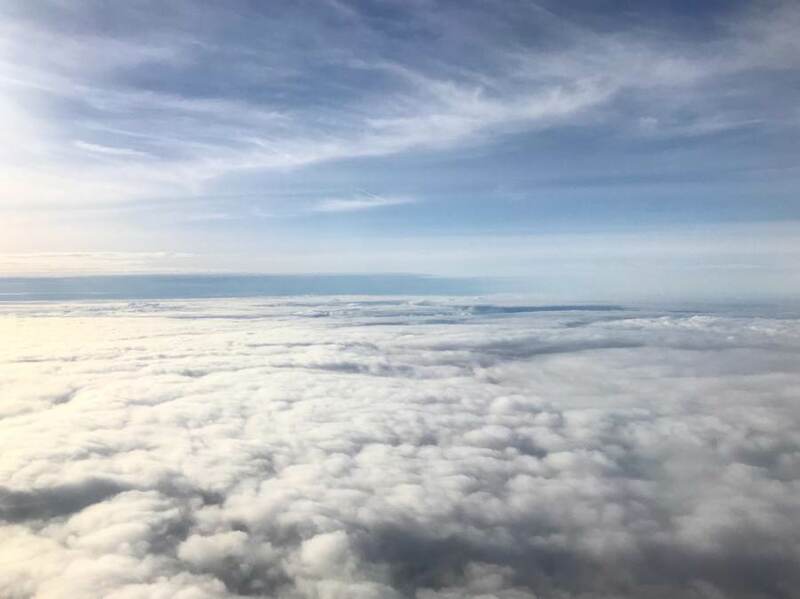 I never tire of this experience, every time I fly it feels like magic to be above the clouds, experiencing a view that nobody beneath you can have. John Magee was a Canadian airman flying with the RAF in the Battle of Britain. High Flight was in a letter to his parents, received the week after he was killed in action. 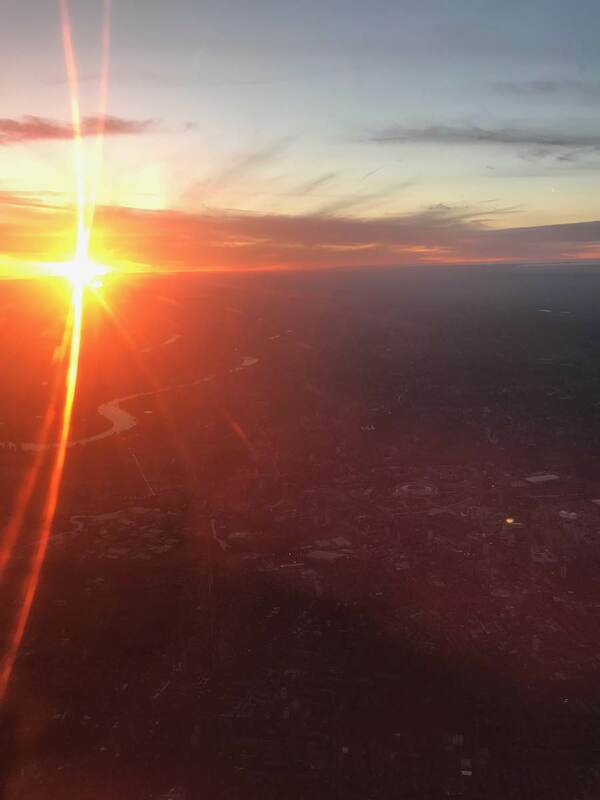 On my return we were treated to the most fabulous view as the sun set over one of my favourite cities in the world – London. 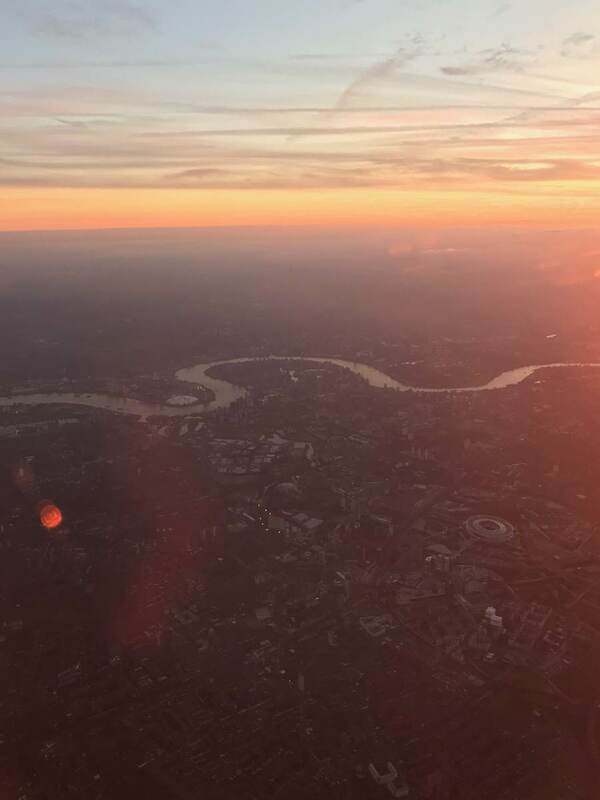 We flew in over North London with views of Wembley, then turned back to the west and flew right over Central London. Following the Thames from the O2 and Olympic Stadium, over Canary Wharf, Tower Bridge, the London Eye and finally Kew Gardens. Fabulous.